Read the conclusions, do not trust press conferences. That is good advice when it comes to understanding political decisions – in the EU as well as in domestic policy. 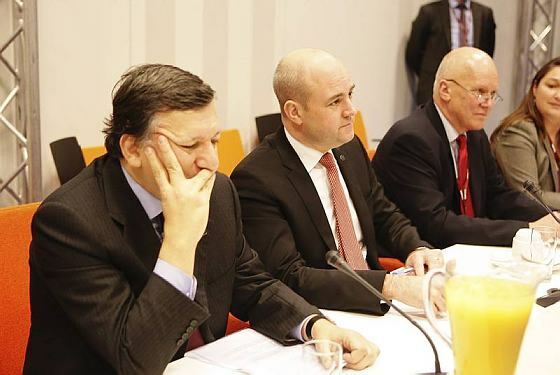 José Manuel Barroso and Fredrik Reinfeldt claimed success on climate after the European Council. `The difficult question of “climate financing” has been resolved and the EU’s climate package is thus complete.´, the Swedish Presidency states on its website. The text gives another impression. Fredrik Reinfeldt had to weaken key paragraphs considerably. As a result, there is no clear commitment from the EU on financing in the run-up to Copenhagen. This will complicate tomorrow´s talks with Barack Obama, as well as negotiations with other major emitters. The European Council agreed on the overall amount needed for 2020, including private financing through emission trading and other means. But more importantly, there was no decision on the short-term financing, crucial for a political agreement in Copenhagen. Der Spiegel is right in describing the outcome as a success for Angela Merkel, who did not want concrete figures decided at the Summit. The Guardian, among others, gives a good overview of the failure to reach agreement on financial commitments. There was also no agreement on the controversial issue of `hot air´, emission allowances in the Kyoto protocol not used by countries. What does this mean for Copenhagen? Fredrik Reinfeldt´s adviser for climate, Lars-Erik Liljelund, rules out a legally binding agreement. `It was somewhat stupid to make Copenhagen a bigger event than it is´, he says to Swedish newspaper Svenska Dagbladet. How wise is it then to abandon the Kyoto protocol (which does not end in 2013) without securing an alternative? Fredrik Reinfeldt was more successful on institutional issues. The Lisbon Treaty is almost in place, a significant achievement by the Presidency. Another positive result is the progress on guidelines for the External Action Service. On migration, the Summit agreed wording supporting tough border controls, but did not specifically mention the Geneva convention in a significant step away from earlier EU commitments. The Baltic Sea Strategy was endorsed, a vague, non-committal document. If the final hurdles for the Lisbon Treaty are cleared, there will soon be a decision on the new posts. However, dark clouds still loom over the climate negotiations in Copenhagen. Words can be explosive. Especially if they imply that billions of euro will be transferred from state coffers. So it should not come as a big surprise that the Swedish government has difficulties in finding agreement on the financing of climate adaptation measures in developing countries. EU Finance Ministers fought about the issue last Tuesday. Now, climate financing is likely to dominate the European Council on Thursday and Friday (together with discussions on the top posts in the Lisbon Treaty). Poland is refusing to agree on concrete numbers without promises that the burden sharing will to a large extent be based on GDP, not only on carbon emissions. 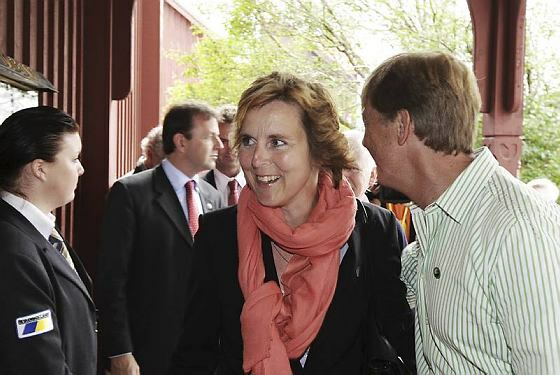 Negotiations are further complicated by the fact that Germany is forming a new government. Thus, the conclusions are likely to be watered down. That may come at a high price. Climate negotiations are already in crisis, with a close adviser to Fredrik Reinfeldt ruling out a legally binding agreement in Copenhagen. If the EU Summit does not mention ambitious figures on climate financing, it will be even more difficult to achieve a political deal in December that is strong enough. There are a number of other open issues. What should happen to the `hot air´, the emission allowances not used by countries primarily in Eastern Europe? How will the new system of flexible mechanisms work in practice and how will it be controlled? What criteria should apply for the distribution of financial support to developing counties? Will climate financing be additional to current development assistance? Agreement at the European Council is further complicated by internal conflicts in the Swedish government. `I hope the rumour is true, that Anders Borg is running the government´, former Finance Minister Pär Nuder said at a seminar about the Government Offices last week. But when it comes to conducting the EU Presidency, a strong Finance Ministry is not always a good idea. Regarding climate, Finance Minister Anders Borg seems to lack the diplomatic skills needed to find agreement among 27 Member States. Dogmatic instructions from Stockholm are making things difficult in Brussels. Unfortunately, the Prime Minister´s office is weaker this time than in 2001, when State Secretary Lars Danielsson was able to give negotiators clear guidance. Agreement on climate change in Copenhagen is the Swedish government´s first priority for the EU Presidency. It would have been easier to achieve if Fredrik Reinfeldt had been more active from the start. Instead, the Swedish Prime Minister already in December last year stated that it would be difficult to agree new commitments for emission reductions by developed countries. The government negotiators are accused of trying to accommodate every divergent view instead of showing leadership in the way former chief negotiator Bo Kjellén did. In the important area of `policies and measures´, Sweden has not put forward any innovative proposals. Some of the criticism might be unjustified. The task is difficult. However, the government has made a number of strategic mistakes. Fredrik Reinfeldt might have to pay a high political price for the lack of a strong agreement in Copenhagen. Note: The excellent Arte blog on Europe also highlights climate and the Swedish EU Presidency. If anyone of the delegates to the Baltic Sea meeting this week lost concentration for a second, the mosaic in the Golden Hall might have caught the attention. One of the pictures in this part of Stockholm City Hall recalls Swedish king Karl XII and his war with Russia. The king is standing on the bodies of seven dead people. Orthodox churches are burning behind him. The Baltic Sea area has not always been as peaceful as today. And relations with Russia are still a key issue, hopefully in a more constructive way than during the reign of Karl XII. At the meeting, governments discussed the Baltic Sea strategy, one of the key initiatives during the Swedish Presidency. Few ministers were present, with key countries such as Germany and Poland represented by State Secretaries. Prime Minister Fredrik Reinfeldt described the importance of the strategy in his initial address. But how concrete will the result be? There are already talking shows enough about regional co-operation. The Commission proposal is surprisingly vague in areas such as the environment. Key areas such as the financial crisis or the euro entry of the Baltic countries are not covered. Co-operation on the internal market is one of the few issues where there seems to be significant movement forward. Yes, there has also been recent progress on linking electricity grids and limiting phosphates in detergents, but not because of the strategy. EU governments have strong feelings against additional resources or new institutions. The role of the Commission in the follow-up is still unclear. As Rikard Bengtsson notes in a SIEPS-study, the original European Parliament resolution is stronger. Rikard Bengtsson also emphasizes the lack of an external dimension, including Russia. I understand this to be one of the most sensitive issues in the Council negotiations. Germany is one of the countries concerned not to alienate Moscow. After three meeting with the Friends of Presidency group, the strategy will be in COREPER next week. The Presidency plans for conclusions at the Foreign Ministers´ meeting 26 October without debate, and then endorsement by the European Council. In parallel, Russia is playing its game over the summit with the EU, due to take place in Sweden this autumn. Fredrik Reinfeldt confirmed that there was still no response from Moscow when I asked him Friday morning. He talked about other ways to connect the Baltic Sea Strategy to Russia, mentioning the Council of Baltic Sea States. To me, the Northern Dimension seems a more logical way. But there is also a need for the higher political dialogue at a Summit (which of course also must deal with a number of other issues). Two possible reasons have been mentioned for Russia withholding its response on the summit. One is the format. The Kremlin might want Dmitrij Medvedev to meet more EU Heads of government than the usual troika. The other reasons mentioned is the negative feelings Carl Bildt has evoked in the Kremlin after his strong (and correct) criticism of Russia´s war in Georgia. Whatever the reason, the Baltic Sea area is of strategic importance both to the EU and to Russia. This calls for a stronger EU strategy and for a constructive EU-Russia Summit. It is easy to understand the feeling. Negotiations within the climate convention are technically complicated and are proceeding extremely slowly. An agreement at the December meeting in Copenhagen is the most important goal for the Swedish EU Presidency. But dark clouds are gathering. Few rich countries have matched the EU commitments for 2020. Growing economies like China and India have still not made robust promises on limiting carbon emissions. The declaration from the G8 Summit in Italy did not provide enough momentum. Setting targets for 2050 and making promises on limiting global temperature rise to 2 degrees C is not enough. Swedish negotiators are also worried that the United States will not move fast enough this autumn. Barack Obama has to devote so much energy to the fight over health care reform. The Commission proposal on financing last Thursday will not be enough to bridge the gap between developing and developed countries. It has already been criticized for not containing enough money and not being additional to earlier promises to increase development aid. When EU leaders meet for the informal European Council on Thursday they will discuss the financing in light of the upcoming G20 meeting in Pittsburgh. More needs to be done. Financing is one key issue, mid-term emission targets another. The risk is that Fredrik Reinfeldt is so eager for a deal in Copenhagen that the Swedish Presidency does not put enough pressure on rich countries to agree robust emission targets. There is a risk than intense corporate lobbying for only setting long-term targets puts negotiations on the more important 2020 targets off track. If there is only a preliminary agreement in December, it must at least contain a commitment to agree targets for the rich countries during the spring of 2010. It´s time also to put forward more ideas on `policies and measures´, as the term is in the climate convention. The Japanese visitor to Brussels was right. The Swedish Presidency should push both for 2020 emissions targets and for agreements on issues such as energy efficiency standards and renewable energy. Co-operating with the new, environmentally progressive, Japanese government is a promising way forward.